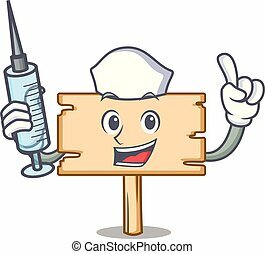 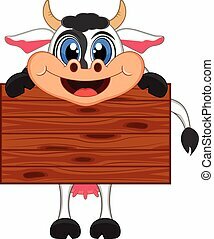 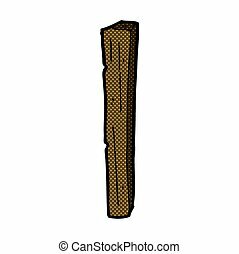 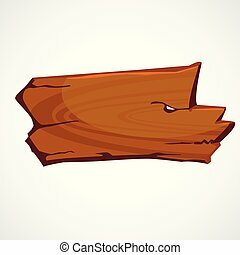 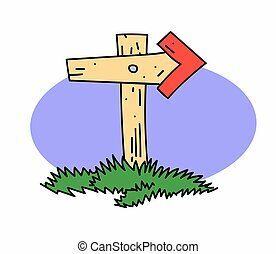 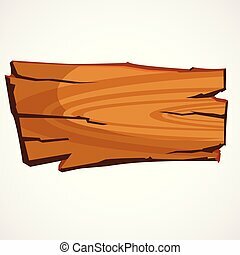 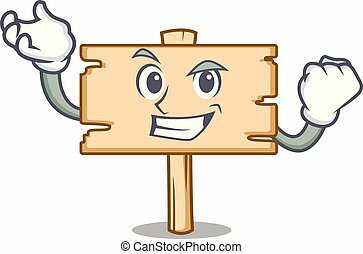 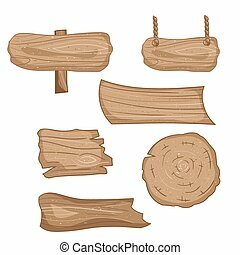 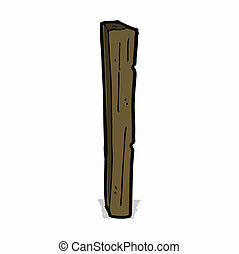 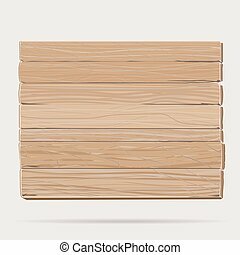 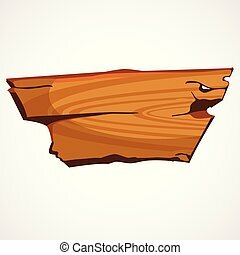 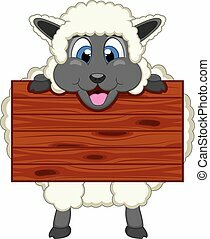 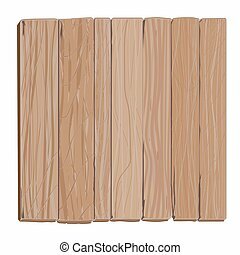 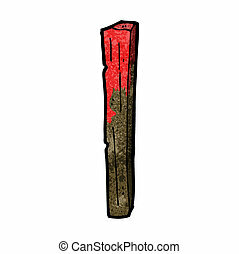 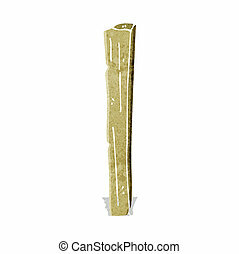 Wooden post cartoon hand drawn image. 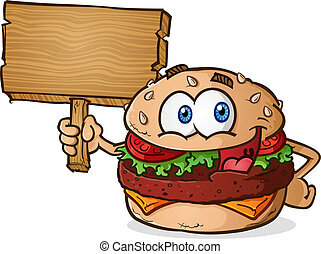 Original colorful artwork, comic childish style drawing. 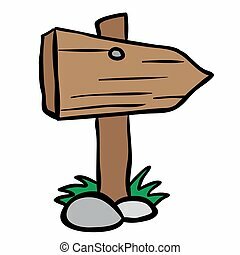 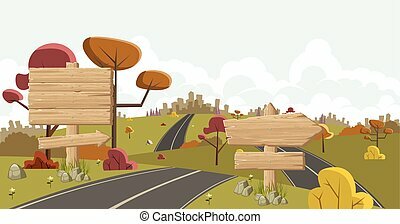 Cartoon road with wooden sign . 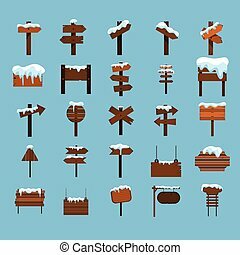 Ad signs.